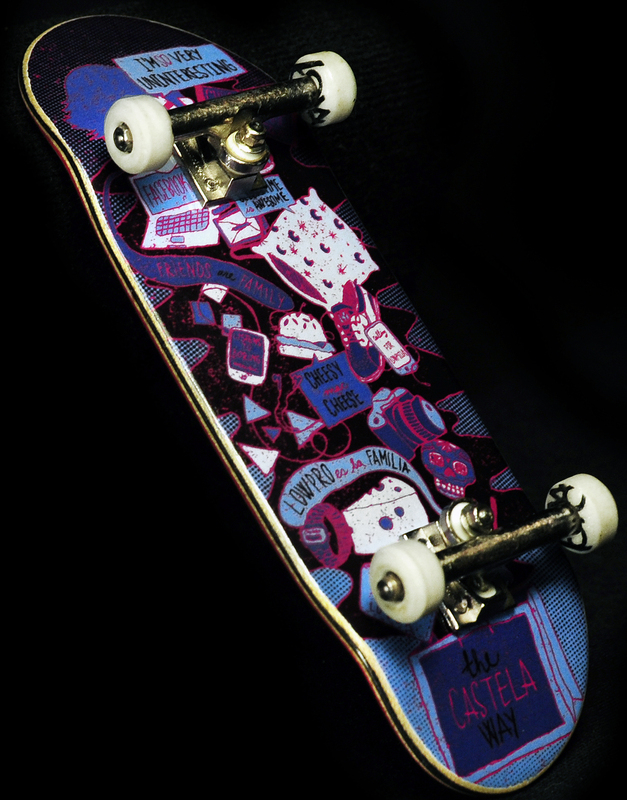 João Castela´s graphic was made by artist Michael Ribeiro. “The Castela Way” coming out of a bag into to world. This Lowpro deck is entirely made from scratch by André Coral. Each board is made with an attention to detail and quality that we are most proud of. Available in two sizes – 32mm & 33mm. Make sure you add a comment stating your size.